The rules of the game on that particular ground were equally alternative. 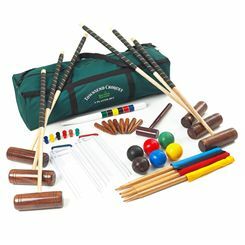 But if you’re short of flamingos, hedgehogs and soldiers in your garden and fancy a game then a good set will provide countless games and enjoyment for all the family. 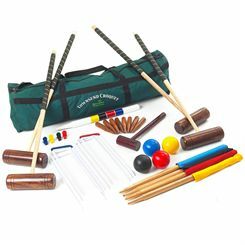 Although a popular game when Carroll was writing some claim its origins go way back to as early as thirteenth century France where peasants used mallets to whack wooden balls through hoops made of willow branches. It’s still a much enjoyed sport today and played competitively in over 20 countries. 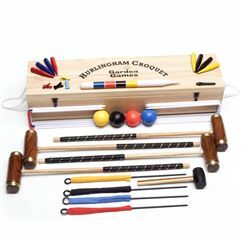 Probably the best aspect of croquet is its absolute inclusiveness. 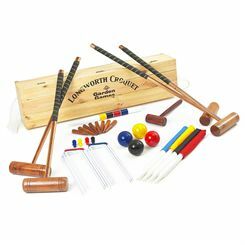 It appeals to all ages, it’s something families can enjoy together, and at the high end men and women compete against each other on an equal playing level. That’s not to say it’s all harmless fun. 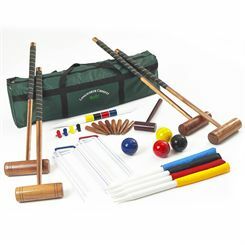 Accounts of games involving serious, experienced players involve highly tactical play – so it’s not just about getting your balls through the hoops in the right order. 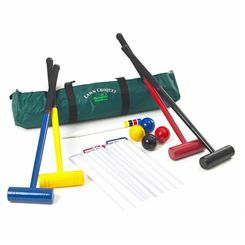 A low cost set made of plastic may give you a little bother when you’re trying to get the hoops in the ground – particularly in dry weather - so if you’re buying a set for consider the materials used. 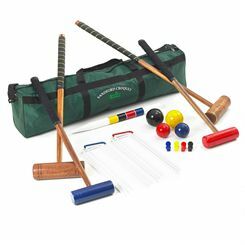 Also hollow plastic mallets won’t last as well as solid wood ones. 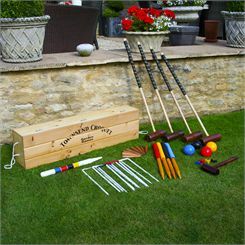 Even at the top end croquet sets are generally affordably priced. 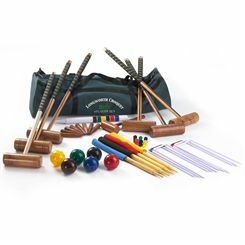 Another plus side is the transportability of a set, it’s great to have it with you on a day at the beach as well as home in the garden.